Education isn't like it used to be, where you would graduate, grab a piece of paper, and dance into a new career. With technology and industries constantly evolving and being updated, education is an ongoing process. This is true of every technological industry, but especially so for CAD users, with new versions frequently being released. A CAD engineer's education is never done. Art Whitton started myCADsite with new CAD users in mind, but it is useful for engineers in every stage of their career. He took a moment to tell us about the beginning of this free tutorial site, the best ways to learn CAD, and some exciting prospects on the horizon. Can you introduce us to myCadsite? When did you get started? What made you want to start your own business? 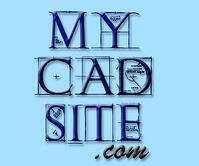 myCADsite.com is an AutoCAD tutorial site aimed at new users. It started out when I began a job at a design school and found that they had no lesson plans or other material for me to work with, so I had to write my own. I just started writing one or two a week as needed, and soon I had about twenty lessons on my hands. This was also the time when I was starting to teach myself website design, about 1999. In the early stages, it wasn't a business. myCADsite was just a series of tutorials that people might have trouble finding online. It was actually good for getting some job offers, since I had my resume posted on the site. Over the years, it has evolved to become one of the most popular sites to learn AutoCAD for free. I've expanded on the original lessons, added videos and updated the material as new versions of AutoCAD are released. I now have 55 tutorials and 59 videos that will take a user from the very basics of drawing a line to 3D modeling and rendering. My goal has always been to try to teach the most common tools that drafters will use in their daily tasks. I also try to teach so that each lesson is a natural progression from the previous one. Who is your main audience, and what are some ways that you fill their particular needs? My main audience is new users of AutoCAD. These might be students in a related field who need to learn AutoCAD to supplement their skill set, or older people who have hand-drafted for years and need to learn the software. I also hear from a lot of people that just want to learn a new skill to help their chances to get a job and move their career forward. myCADsite helps people by providing a free course with quality material. Anyone with Internet access can download a demo version of AutoCAD and start the course. My goal is to keep the course free to help the people who can't afford to go to school to learn the program. I also don't require registration so that there are no barriers to keep someone from starting the course. It's very satisfying to hear from people all over the world who have taken the initiative to learn the software and started a new career path. I also allow public schools to use the material freely and have licensed the tutorials to several colleges. Here are some comments about the site. What are some things you'd say for people learning CAD for the first time? Would you recommend going into this line of work? I get a lot of emails from people who "want to learn CAD." Some have very specific reasons; others just feel it's something they should know. My most common advice is to take it slow and learn the basics thoroughly. Then go back and review them - and then practice them some more. In the classroom, I saw so many students rush through the first assignments and then start forgetting some of the very basic tools later on. Once users have a solid foundation, it usually sticks with them and makes learning the other topics much easier. I'll also remind them that they need to focus on speed and accuracy, since no employer wants a slow, mistake-prone CAD user. When people ask what their job prospects are like, I try to be as honest and blunt as I can. I tell them what I was told back when I was learning at BCIT: "AutoCAD is just a tool." Most of my instructors repeated this. So I'll ask people what their background is and how it could be applied to design. I let them know that kids are learning how to use AutoCAD in high school now, so it's not always a matter of just "learning CAD." There's a lot of competition out there. What about people who have been using CAD software for a while - what are some reasons for them to continue their education? How can the training they receive on myCADsite help their career? I've worked with people that have used CAD for years and find that some them use the same techniques they used when they first learned the software. I'll go in and review a new version of AutoCAD when it comes out and see what benefits it has for my workflow. One of the things that first interested me in CAD was that there would always be something new to learn. I hear from a lot of experienced users who have visited myCADsite to brush up on their skills or see what's new. If they've been away from the software for a while, they can quickly get back up to speed and possibly learn some new tools along the way. Anything that makes a CAD user more productive is good for that person and their employer. Can you give a brief overview on what you go over in one of your courses? What are the assignments like? A typical tutorial will start with an overview of what will be taught, and then explains the process step-by-step so that the user can follow along easily. After that, there may be an exercise or two that uses the tools shown in the lesson. Finally, a video is available to visually show how the command or tool works. At the end of the tutorial, the student can take a short four-question quiz to see if they understand the topic. Not everyone learns the same way, so the explanation, the step-by-step overview and the video can all appeal to different types of students. Most of the exercises are simple drawings that the student should be able to complete in a short amount of time. By the time students finish the first level, they know most of the common drawing and editing commands. Level Two takes them in a different direction and makes them draw a floor plan. This takes their focus from learning how the tools work to how to apply the tools properly. With writing the website and designing the CAD courses, you must be very aware of what's going on in the industry. Have you noticed any developments that are particularly exciting? I will look around at some articles and still subscribe to a couple of CAD newsletters, but I find that my interest in CAD is making sure that my website's content is still correct and up to date. Do you or any of your students use a CAD workstation? If so, which one are you using? Not really. My last full-time CAD job was drawing as-built survey on location. I usually had an older Dell laptop to work with and it got the job done. I'll get emails from students asking what kind of computer they should use, and I'll usually advise them to try the one they have. Then I'll send them a link to AutoCAD's system requirements as a guideline. For many students starting out, the assignments and drawings are small files, so a powerful workstation isn't needed right away. Do you have any advice on some specifications to look for if someone is looking to invest in one for the first time? I'll usually give people the same advice: "Get the best you can afford." With RAM and storage space so cheap these days, it's almost a sin to have a low-end computer. For the past 20 years, I've bought bare bones kits and put them together and swapped out parts as they've needed upgrades. It's a great way to learn how they work, and you get the most bang for your buck. There was a blog post a while back on myCADsite about Harvard scientists using CAD software to make a 3D Rendering of a DNA-RNA molecule. What are some other innovative uses you've seen of CAD software being used? What are some other industries that are starting to adopt the software? When I started working in the industry, I was a little disappointed that all of the cool, cutting-edge things I had learned (this was 1997), like data extraction and 3D modeling, weren't being used in the jobs that I was getting. I know that's still the case in many workplaces these days, but for simple designs you just need an accurate 2D drawing. I see the world adapting to 3D printing, and I think that is an area will explode in the next 10 years. Reading about how NASA emailed a wrench to the International Space Station was exciting news to me. I love to see how 3D models are used in medical science. 3D printing of body parts and prosthetics will become more commonplace and bring costs down. It's a very exciting time for science, and seeing how CAD can be implemented will surprise us all. For more updates from myCADsite, like them on Facebook and follow them on Twitter.